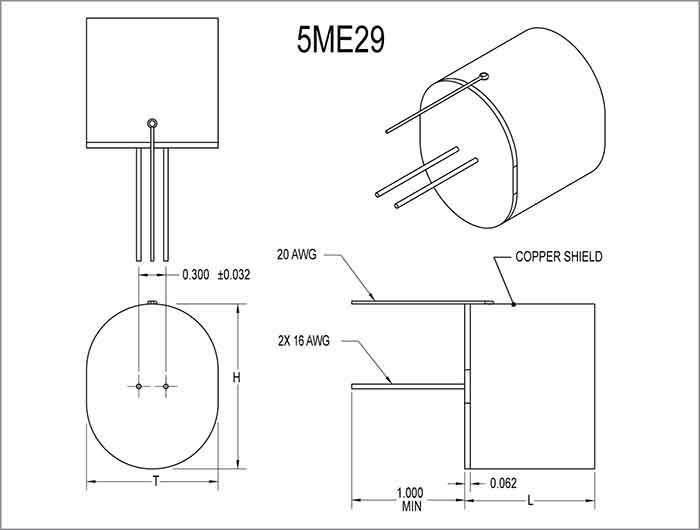 5ME Series | Film Capacitor - Electronic Concepts Inc. 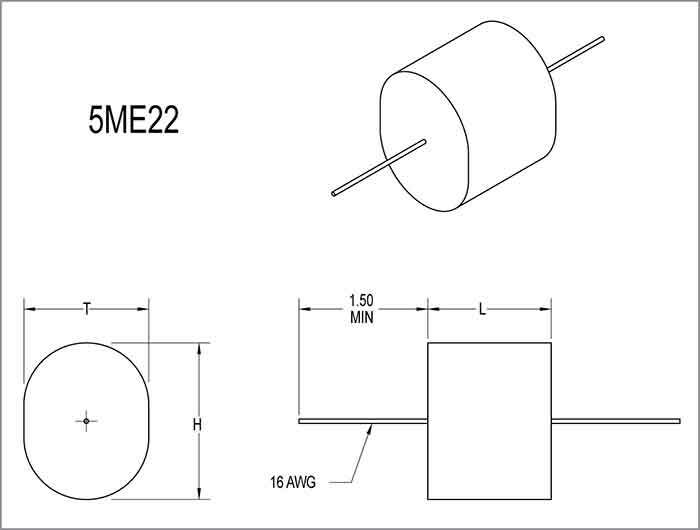 The 5ME Series is one of the new generation of mil quality film capacitors developed by Electronic Concepts to meet the ever changing, higher performance demands of the electronic industry. The 5ME Series is specifically designed for switch-mode power supplies that require voltages to 400 VDC at temperatures to 85°C with dv/dt as high as 507 V/μs and peak current to 6,000 amps. 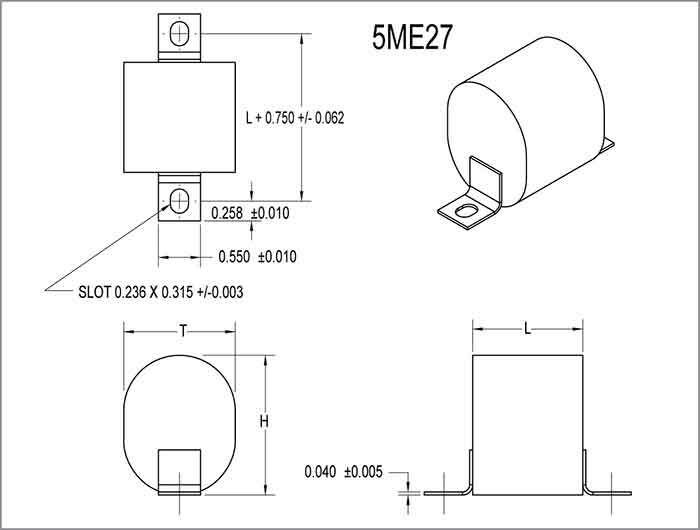 It also offers low ESR, low inductance and current capabilities to 75 amps.In addition styles 5ME28 and 5ME29 offer inductance as low as 12nH to maximize resonant frequency to as high as 1.7MHz. 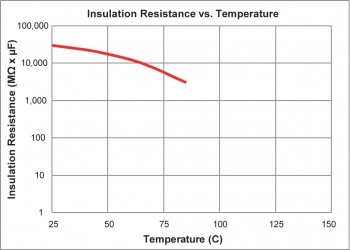 The tab terminations are mechanically studied and can accommodate higher current with minimal inductance. They also dissipate heat very efficiently. 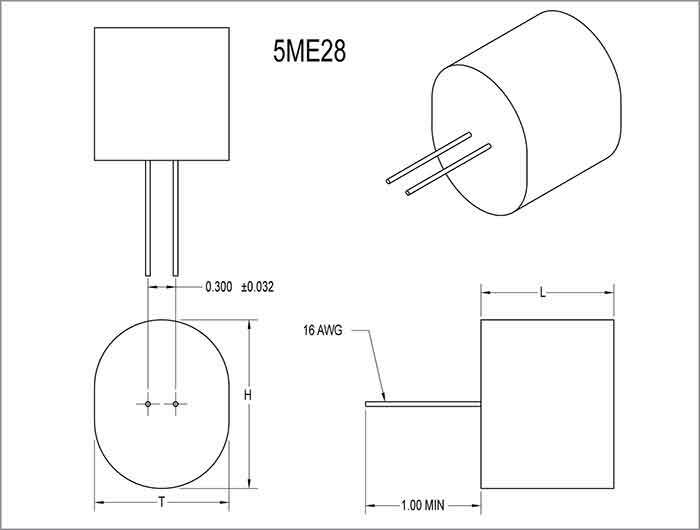 With the introduction of the 5ME Series, the circuit designer now has a film capacitor that can increase overall system performance with miniaturization — and also realize significant cost savings. 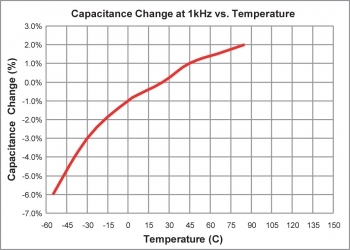 Capacitance is measured at 25°C and referenced to a frequency of 1kHz. Mylar tape outerwrap with specially formulated, conductive epoxy end fill to maximize heat exchange. Extended metallized polyester film. DC working voltage ratings are from 30 to 400VDC. Note: Other sizes, values, and voltages are available upon request. Note: Current ratings are reflective of types 5ME26 and 5ME27. Other styles shall not exceed 19 AMPS RMS. Current is limited by #16 tinned copper leads. 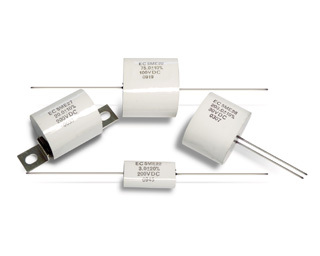 Capacitors withstand a DC potential of 150% rated voltage applied between the terminals for one (1) minute without permanent breakdown. 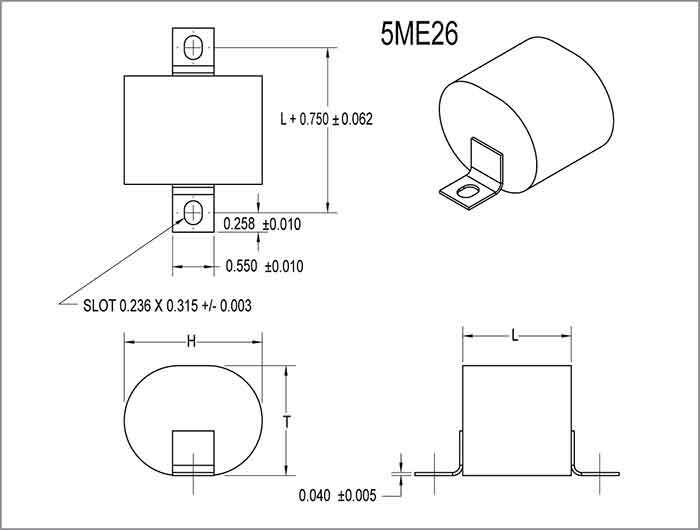 Test voltage is applied and discharged through one ohm per volt minimum, and at 25°C. 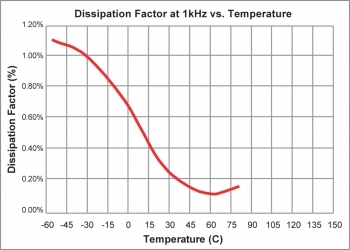 Will not exceed 1.0% when measured at 25Ãƒâ€šÃ‚Â°C: at 1kHz for capacitance Ã¢â€°Â¤ 20 microfarads; at 120 Hz for capacitance >microfarads.